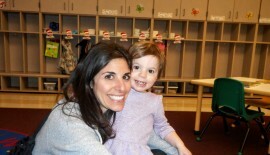 We invite your children to join us in our nurturing, exploratory, creative and social early childhood program! 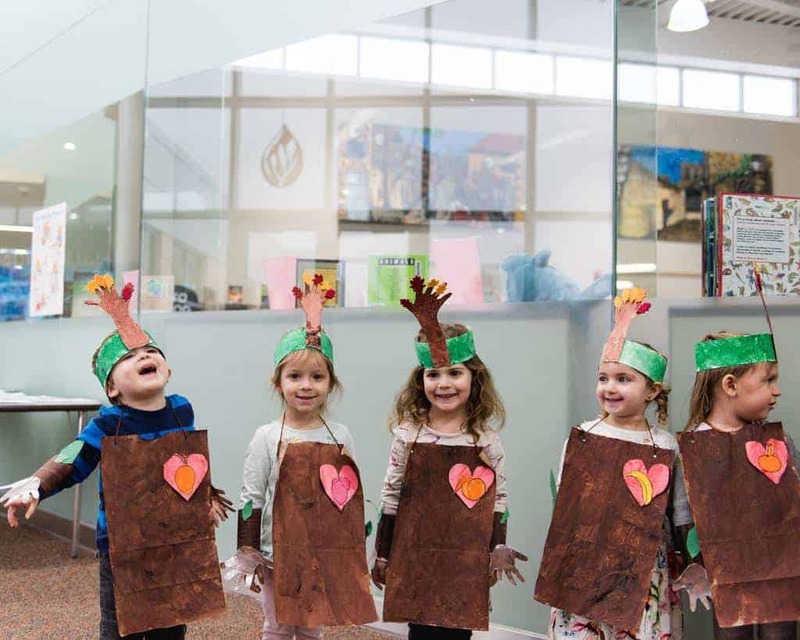 Gross Schechter Day School’s early childhood program encourages creativity, exploration and self-discovery in a nurturing and caring environment filled with the joy of Jewish learning and living. Our curriculum is designed to foster growth in all areas of your child’s development. 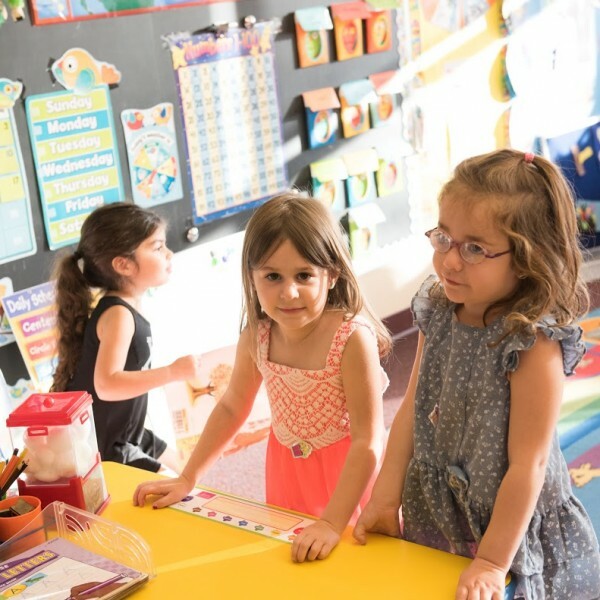 Children have the opportunity to share and play in a cooperative setting as they build positive, lifelong bonds with their classmates and teachers. Through our buddy program, middle school students become role models and friends with our preschool students, building relationships for life that extend beyond the school walls. We encourage creative exploration through art, music, technology, movement and yoga. Children also experience a rich variety of learning experiences including math, science, building, manipulatives, books and sensory play. 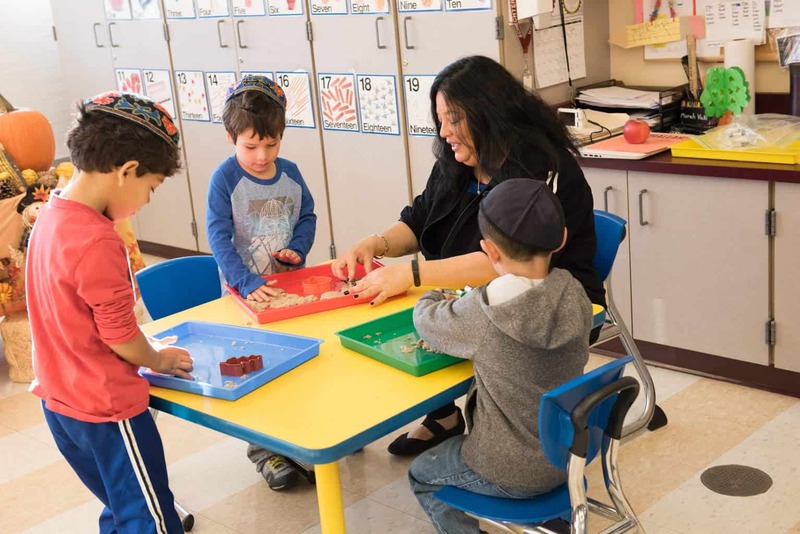 We incorporate Jewish practices and the Hebrew language in our daily classroom activities to help foster your child’s Jewish identity. Children further their love of Jewish traditions through weekly Shabbat programs, holiday festivities, and by learning about Torah and Israel. They are nurtured and guided to become confident individuals and leaders who are inspired by Jewish values. All of our early childhood teachers currently hold degrees in education or are working toward completing their degrees in the near future. We currently offer programs for children 18 months and up (without parents) daily with afternoon options. We are happy to talk with you about flexible schedules to accommodate your needs.